Whether you're cleaning up your current look, trying something new or betraying your ventriloquist dummy, a Great Clips haircut is a step in the right direction. That third point is the subject of the brand's bizarre "Benny & Lenny" ad, directed by The Perlorian Brothers for Minneapolis agency Periscope. 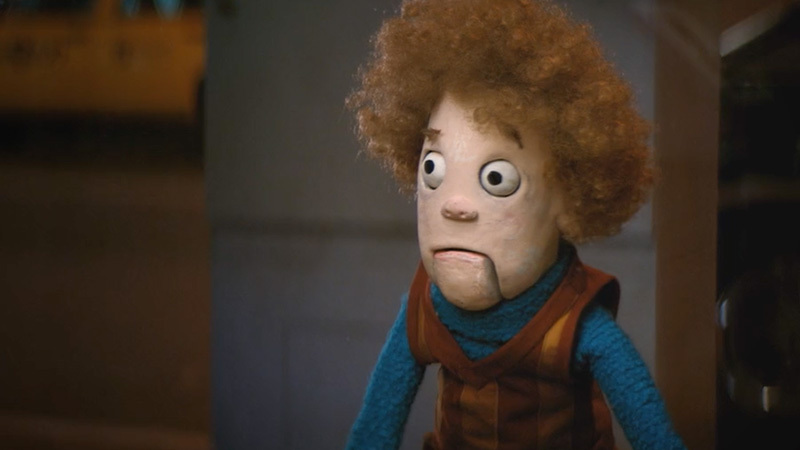 The ad follows a ventriloquist dummy through the city streets as he looks for his puppeteer, only to find him at a Great Clips, getting his '80s-era Weird Al afro trimmed down to a more uniform hairstyle. The mood probably should have been that of a lighthearted misunderstanding, but instead it's a surreal and uncomfortable exposure of infidelity. However, since we like things that are sad and weird, we applaud this bold artistic choice. It's not a tone we generally associate with Great Clips, and who knows what it will do for (or to) their brand, but whatever. It feels like a genuine attempt to try something new, and we can always use more of that. Not to mention, Lenny's reaction isn't uncommon upon seeing a Great Clips haircut.